OxyContin maker Purdue Pharma has been absolutely buried in lawsuits in the United States. Cities like New York, states including Alabama, as well as the U.S. federal government, which launched a criminal investigation last year, are attempting to hold the drugmaker to account over allegedly misleading marketing efforts. Critics charge that the company deceptively branded the drug as safe for treating chronic pain, and therefore bears some responsibility for the country’s crushing opioid epidemic. It could be argued that Purdue Pharma’s Canadian operation bears similar responsibility for our own opioid epidemic, which saw over 4,000 deaths last year, according to some estimations. But there is no criminal investigation underway here; no major attempt by Canadian authorities to hold drugmakers to account for their role in the overprescription of highly addictive pain medication. In short: there should be. For now, Canada has left it to the victims to seek their own justice, which they have attempted to do through a class-action lawsuit. 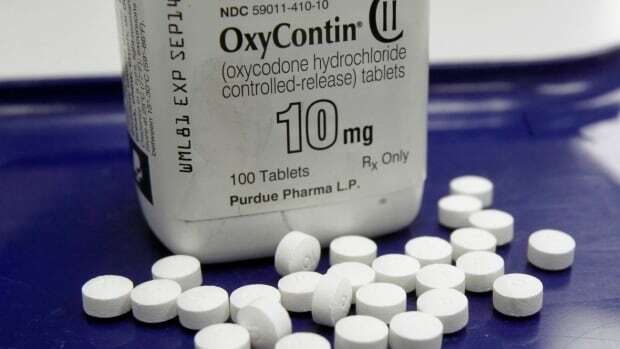 The lawsuit resulted in a settlement last year of $ 20 million, with $ 2 million allocated to provincial health authorities, though Purdue Pharma Canada makes no admission of liability. Nova Scotia, Quebec and Ontario have already approved the deal, but a judge in Saskatchewan just rejected the settlement as too small. Purdue now plans to appeal the judge’s decision. The settlement, to some, will be seen as better than nothing. But, once approved, it will also be the end of the road for government action. The jurisdictions that have agreed to it may find it difficult or impossible to seek further recourse. That would mean that any other victims of the opioid crisis, including people who have been harmed by years of excessive opioid use, will have to go toe-to-toe with a pharmaceutical behemoth in court. Canadian authorities will likely not intervene. If this deal goes through, the province of Ontario, for example, will likely receive less than $ 1 million since the $ 2 million will be split among the jurisdictions. That’s a fraction of the hundreds of millions spent each year combating the opioid crisis and caring for affected people. It is also less than the $ 4.9 million dollar grant that Purdue Pharma (Canada) received from the government of Ontario in 2007 to expand its facilities in Pickering, Ont., the same year Purdue Pharma in the U.S. pled guilty to criminal charges relating to the misbranding of its product and was fined $ 600 million. While Purdue Pharma claims that its operations in different countries are independent, it would be surprising if Purdue’s marketing tactics, which it admitted were against the law in the U.S., stopped at the U.S. border: the same products were sold in Canada and the United States under the same names and for the same conditions. Purdue executives shuttle between the American and Canadian operations; in 2017 Craig Landau was made the CEO and president of the American operation while he still headed Purdue Pharma Canada. A central part of the case in the U.S. focused on Purdue downplaying the risks associated with its products. More than a decade into the opioid crisis, Purdue developed new products “designed to help discourage misuse and abuse”; OxyContin was replaced with OxyNeo, for example — which can’t be snorted or injected — but can still be abused by simply swallowing the pill. And Health Canada has gone ahead and approved them, even though the implication that these new products might save lives is disproved by each additional opioid death. For all we know, Purdue Pharma’s marketing of long-acting opioids like OxyContin and its successors could have committed the single most lucrative and deadly criminal action in Canadian history. But we don’t know, because there has been no criminal investigation. The culpability of those running the opioid black market (and others who contribute to the crisis) should not overshadow what Purdue did in broad daylight in the U.S., and may have done here in Canada, too. The delay afforded by the Saskatchewan judge’s rejection of the class-action settlement creates a final opportunity for Canadian authorities to launch a criminal investigation into Purdue’s marketing practices. Continuing to do nothing, however, will send a clear message: even if pharmaceutical companies admit to wrongdoing elsewhere, and even if tens of thousands of Canadians die of overdoses, Canadian authorities will not seek justice. If Canadian authorities do not act now, will they ever?